Who would have ever thought politics and pop culture can collaborate so well? 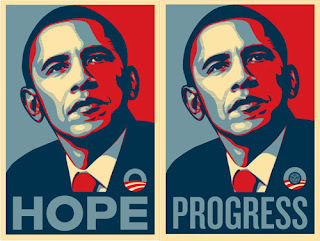 Shepard Fairey, the man who has also created Obey's famous "Andre the Giant" icon, wanted to share to the world his talent and what he thought about our next President of the United States, Barack Obama, in which he created well before Obama officially decided to run for office. 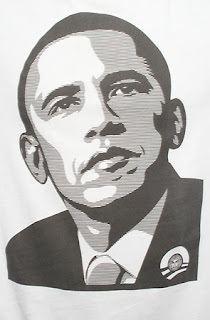 To own a piece of "pop culture history" such as this Obey Obama shirt and other cool stuff, you can find some great deals on www.Karmaloop.com. And congratulations and thank you to all those who went out to vote on November 4th.